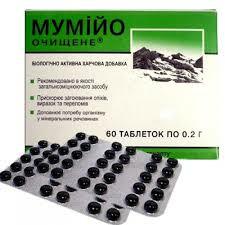 I recently posted on this little tar shaped pill (Mummio.) I’ve been getting from Ukraine to build my immune system and wanted to update on my status. After three consecutive months of taking Mummio I felt an 80% improvement in my health and stopped picking up every little bug that flew my way. Most of my allergies cleared up and I’ve had much more energy. I was also able to stop taking a lot of the extra supplement’s I took. (Way too many extra vitamins a day.) Which has put more money in my pocket for other things:) And my pee is no longer florescent yellow. Whoot, my insides no longer glow! The regular dosage is 25 days on, 10 days off, but as I no longer need to take it that often I only take it when I start to feel a bug coming on. Or recently, when everyone else is sick around me and I want the extra immune boost. Tis the season. I am so happy I found this… It may not work for everyone, but it has worked well for me. Disclaimer: I am not a doctor! I am only posting on my own personal experience!